Two banker's children lose their nannie due to her frustration with them. A change in the wind blows in an assertive nanny who matches the qualifications of the children and not the father. As she helps them magically explore the world around them the father grows increasingly disapproving of her methods, and must eventually deal with his own distance from his children. 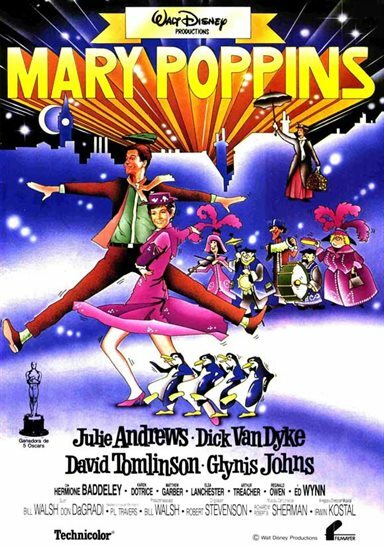 Download Mary Poppins in Digital HD from the iTunes store. Listen to the Mary Poppins soundtrack on Apple Music. Mary Poppins images are © Walt Disney Pictures. All Rights Reserved.